For the Canadian sailor, see Mike Leigh (sailor). Mike Leigh OBE FRSL (born 20 February 1943) is an English writer and director of film and theatre. He studied at the Royal Academy of Dramatic Art (RADA) before honing his directing skills at East 15 Acting School and further at the Camberwell School of Art, the Central School of Art and Design and London Film School. He began as a theatre director and playwright in the mid-1960s. In the 1970s and '80s his career moved between theatre work and making films for BBC Television, many of which were characterised by a gritty "kitchen sink realism" style. His well-known films include the comedy-dramas Life is Sweet (1990) and Career Girls (1997), the Gilbert and Sullivan biographical film Topsy-Turvy (1999), and the bleak working-class drama All or Nothing (2002). His most notable works are the black comedy-drama Naked (1993), for which he won the Best Director Award at Cannes, the Oscar-nominated, BAFTA and Palme d'Or-winning drama Secrets & Lies (1996), the Golden Lion winning working-class drama Vera Drake (2004), and the Palme d'Or nominated biopic Mr. Turner (2014). Some of his notable stage plays include Smelling A Rat, It's A Great Big Shame, Greek Tragedy, Goose-Pimples, Ecstasy, and Abigail's Party. Leigh is known for his lengthy rehearsal and improvisation techniques with actors to build characters and narrative for his films. His purpose is to capture reality and present "emotional, subjective, intuitive, instinctive, vulnerable films." His aesthetic has been compared to the sensibility of the Japanese director Yasujirō Ozu. His films and stage plays, according to critic Michael Coveney, "comprise a distinctive, homogenous body of work which stands comparison with anyone's in the British theatre and cinema over the same period." Coveney further noted Leigh's role in helping to create stars – Liz Smith in Hard Labour, Alison Steadman in Abigail's Party, Brenda Blethyn in Grown-Ups, Antony Sher in Goose-Pimples, Gary Oldman and Tim Roth in Meantime, Jane Horrocks in Life is Sweet, David Thewlis in Naked—and remarked that the list of actors who have worked with him over the years—including Paul Jesson, Phil Daniels, Lindsay Duncan, Lesley Sharp, Kathy Burke, Stephen Rea, Julie Walters – "comprises an impressive, almost representative, nucleus of outstanding British acting talent." Ian Buruma, writing in The New York Review of Books in January 1994, noted: "It is hard to get on a London bus or listen to the people at the next table in a cafeteria without thinking of Mike Leigh. Like other wholly original artists, he has staked out his own territory. Leigh's London is as distinctive as Fellini's Rome or Ozu's Tokyo." Leigh was born to Phyllis Pauline (née Cousin) and Alfred Abraham Leigh, a doctor. Leigh was born at Brocket Hall, Hertfordshire, which the government had seized from its Nazi-sympathising owner, Lord Brocket, and turned into a maternity home. His mother, in her confinement, went to stay with her parents in Hertfordshire for comfort and support while her husband was serving as a captain in the Royal Army Medical Corps. Leigh was brought up in Broughton, Salford. He is from a Jewish immigrant family whose surname, originally Lieberman, had been anglicised in 1939 "for obvious reasons". When the war ended Leigh's father began his career as a general practitioner in Higher Broughton, "the epicentre of Leigh's youngest years and the area memorialised in Hard Labour." Leigh went to Salford Grammar School, as did the director Les Blair, his friend, who produced Leigh's first feature film Bleak Moments in 1971. There was a strong tradition of drama in the all-boys school, and an English master, called Mr Nutter, supplied the library with newly published plays. Outside of school, Leigh thrived in the Manchester branch of Habonim. He attended summer camps and winter activities over the Christmas break all round the country in the late 1950s. Throughout this time, (and though supplemented by his discovery of Picasso, Surrealism, The Goon Show, and even family visits to the Hallé Orchestra and the D'Oyly Carte), the most important part of his artistic consumption was the cinema. His father, however, was deeply opposed to the idea that Leigh might become an artist or an actor. He forbade him his frequent habit of sketching visitors to the house and regarded him as a problem child because of his creative interests. In 1960, 'to his utter astonishment', he won a scholarship to RADA. Initially trained as an actor at RADA, Leigh went on to start honing his directing skills at East 15 Acting School where he met the actress Alison Steadman. Leigh responded negatively to RADA's agenda, found himself being taught how to 'laugh, cry and snog' for weekly rep purposes and so became a sullen student. He later attended Camberwell School of Arts and Crafts (in 1963), the Central Saint Martin's College of Art and Design, and the London School of Film Technique in Charlotte Street. When he had arrived in London, one of the first films he had seen was Shadows, an 'improvised' film by John Cassavetes, in which a cast of unknowns was observed 'living, loving and bickering' on the streets of New York, and Leigh had "felt it might be possible to create complete plays from scratch with a group of actors." Other influences from this time included Harold Pinter's The Caretaker—"Leigh was mesmerised by the play and the (Arts Theatre) production"— Samuel Beckett, whose novels he read avidly, and the writing of Flann O'Brien, whose 'tragi-comedy' Leigh found particularly appealing. Influential and important productions he saw in this period included Beckett's Endgame, Peter Brook's King Lear and in 1965 Peter Weiss's Marat/Sade, a production developed through improvisations, the actors having based their characterisations on people they had visited in a mental hospital. The visual worlds of Ronald Searle, George Grosz, Picasso, and William Hogarth exerted another kind of influence. He played small roles in several British films in the early 1960s, (West 11,Two Left Feet), and played a young deaf-mute, interrogated by Rupert Davies, in the BBC TV series Maigret. In 1964–65 he teamed up with David Halliwell, and designed and directed the first production of Little Malcolm and his Struggle Against the Eunuchs at the Unity Theatre. Leigh has been described as "a gifted cartoonist ... a northerner who came south, slightly chippy, fiercely proud (and critical) of his roots and Jewish background; and he is a child of the 1960s, and of the explosion of interest in the European cinema and the possibilities of television." Between 1965 and 1970, Leigh's activity was varied. In 1965, he went to work at the Midlands Art Centre in Birmingham as a resident assistant director and had the opportunity to start experimenting with the idea that writing and rehearsing could potentially be part of the same process. The Box Play, a family scenario staged in a cage-like box, "absorbed all sorts of contemporary ideas in art such as the space frames of Roland Pichet..it was visually very exciting,", and two more 'improvised' pieces followed. After the Birmingham interlude he found a flat in Euston, where he lived for the next ten years. In 1966-67, he worked as an assistant director with the Royal Shakespeare Company on productions of Macbeth, Coriolanus, and The Taming of the Shrew. He worked on an improvised play of his own with some professional actors called NENAA, (an acronym for the North East New Arts Association), which explored the fantasies of a Tynesider working in a café, with ideas of founding an arts association in the northeast. Leigh wrote, in 1970, "I saw that we must start off with a collection of totally unrelated characters (each one the specific creation of its actor) and then go through a process in which I must cause them to meet each other, and build a network of real relationships; the play would be drawn from the results." After Stratford-upon-Avon, Leigh directed a couple of London drama school productions that included Thomas Dekker's The Honest Whore at E15 Acting School in Loughton – where he met Alison Steadman for the first time. In 1968, wanting to return to Manchester, he sub-let his London flat and moved to Levenshulme. Taking up a part-time lectureship in a Catholic women teachers training college, Sedgley Park, he ran a drama course and devised and directed Epilogue, focusing on a priest with doubts, and for the Manchester Youth Theatre he devised and directed two big-cast projects, Big Basil and Glum Victoria and the Lad with Specs. As the decade came to a close, Leigh knew he wanted to make films, and that "The manner of working was at last fixed. There would be discussions and rehearsals. Plays or films would develop organically with actors fully liberated into the creative process. After an exploratory improvisation period, Leigh would write a structure, indicating the order in which scenes happened, usually with a single bare sentence: Johnny and Sophie meet; Betty does Joy's hair; [etc.]. And it was rehearsed and rehearsed until it achieved the required quality of 'finish'." In the 1970s, Leigh made nine television plays. Earlier plays such as Nuts in May and Abigail's Party tended more towards bleakly yet humorously satirising middle-class manners and attitudes. His plays are generally more caustic, stridently trying to show the banality of society. Goose-Pimples and Abigail's Party both focus on the vulgar middle class in a convivial party setting that spirals out of control. The television version of Abigail's Party was made at some speed, Steadman was pregnant at the time, and Leigh's objections to flaws in the production, particularly the lighting, led to his preference for theatrical films. There was something of a hiatus in Leigh's career following the death of his father at the end of February 1985. Leigh was in Australia at the time – having agreed to attend a screenwriters conference in Melbourne at the start of 1985, he had then accepted an invitation to teach at the Australian Film School in Sydney – and he then 'buried his solitude and sense of loss in a busy round of people, publicity and talks.' He gradually extended 'the long journey home' and went on to visit Bali, Singapore, Hong Kong, China. He said later, " The whole thing was an amazing, unforgettable period in my life. But it was all to do with personal feelings, my father, where to go next, and my desire to make a feature film. I felt I was at the end of one stage of my career and at the start of another." His 1986 project codenamed 'Rhubarb', for which he had gathered actors in Blackburn, including Jane Horrocks, Julie Walters and David Thewlis, was cancelled after seven weeks rehearsals and Leigh returned home. "The nature of what I do is totally creative, and you have to get in there and stick with it. The tension between the bourgeois suburban and the anarchist bohemian that is in my work is obviously in my life, too...I started to pull myself together. I didn't work, I simply stayed at home and looked after the boys." In 1987 Channel 4 put up some money for a short film and, with Portman Productions, agreed to co-produce Leigh's first feature film since Bleak Moments. In 1988, Mike Leigh and producer Simon Channing Williams founded Thin Man Films, a film production company based in London, to produce Mike Leigh's films. They chose the company name because both founders were the opposite of it. Later in 1988, he made High Hopes, about a disjointed working-class family whose members live in a run-down flat and a council house. Leigh's subsequent films such as Naked and Vera Drake are somewhat starker, more brutal, and concentrate more on the working-class; another of his recent films, however, is a modern-day comedy, Happy-Go-Lucky. His stage plays include Smelling A Rat, It's A Great Big Shame, Greek Tragedy, Goose-Pimples, Ecstasy, and Abigail's Party. The anger inherent in Leigh's material, in some ways typical of the Thatcher years, softened after her departure from the political scene. In 2005, Leigh returned to directing for the stage after many years absence with his new play, Two Thousand Years at the Royal National Theatre in London. The play deals with the divisions within a left-wing secular Jewish family when one of the younger members finds religion. It is the first time Leigh has drawn on his Jewish background for inspiration. Leigh has won several prizes at major European film festivals. Most notably he won the Best Director award at Cannes for Naked in 1993 and the Palme d'Or in 1996 for Secrets & Lies. He won the Leone d'Oro for the best film at the International Venice Film Festival in 2004 with Vera Drake. He has been nominated for the Academy Award seven times, twice each for Secrets & Lies and Vera Drake (Best Original Screenplay and Best Directing) and once for Topsy-Turvy, Happy-Go-Lucky, and Another Year (Best Original Screenplay only). He was also elected a Fellow of the Royal Society of Literature in 2008. In 2002, Leigh became Chairman for his alma matter, London Film School. Leigh remained Chair until March 2018, where he was succeeded by Greg Dyke. Leigh was selected to be jury president of the 62nd Berlin International Film Festival. In 2015, he accepted an offer from English National Opera to direct the Gilbert and Sullivan operetta The Pirates of Penzance (cond: David Parry, design: Alison Chitty, starring: Andrew Shore, Rebecca de Pont Davies and Jonathan Lemalu). The production then toured Europe, visiting Luxembourg (Les Théâtres de la Ville de Luxembourg), Caen (Théâtre de Caen) and Saarbrucken (Saarländisches Staatstheater). In 2018, Leigh released another historical feature, Peterloo, based on the 1819 Peterloo Massacre. He was appointed an Officer of the Order of the British Empire (OBE) in the 1993 Birthday Honours, for services to the film industry. Leigh uses lengthy improvisations developed over a period of weeks to build characters and storylines for his films. He starts with some sketch ideas of how he thinks things might develop, but does not reveal all his intentions with the cast who discover their fate and act out their responses as their destinies are gradually revealed. Initial preparation is in private with the director and then the actors are introduced to each other in the order that their characters would have met in their lives. Intimate moments are explored that will not even be referred to in the final film to build insight and understanding of history, character and personal motivation. When an improvisation needs to be stopped, he says to the actors: 'Come out of character,' before they discuss what's happened or what might have happened in a situation. Leigh begins his projects without a script, but starts from a basic premise that is developed through improvisation by the actors. Leigh initially works one-to-one with each actor, developing a character who is based, in the first place, on someone he or she knows. The critical scenes in the eventual story are performed and recorded in full-costumed, real-time improvisations where the actors encounter for the first time new characters, events or information which may dramatically affect their characters' lives. Final filming is more traditional as definite sense of story, action and dialogue is then in place. The director reminds the cast of material from the improvisations that he hopes to capture on film. "The world of the characters and their relationships is brought into existence by discussion and a great amount of improvisation ... And research into anything and everything that will fill out the authenticity of the character." It is after months of rehearsal, or 'preparing for going out on location to make up a film', that Leigh writes a shooting script, a bare scenario. Then, on location, after further 'real rehearsing', the script is finalized; "I'll set up an improvisation, ... I'll analyse and discuss it, ... we'll do another, and I'll ... refine and refine... until the actions and dialogue are totally integrated. Then we shoot it." In an interview with Laura Miller, "Listening to the World: An Interview With Mike Leigh", published on salon.com, Leigh states, "I make very stylistic films indeed, but style doesn't become a substitute for truth and reality. It's an integral, organic part of the whole thing." Leigh's vision is to depict ordinary life, "real life", unfolding under extenuating circumstances. [clarification needed] Speaking of his films, he says, "No, I'm not an intellectual filmmaker. These are emotional, subjective, intuitive, instinctive, vulnerable films. And there's a feeling of despair...I think there's a feeling of chaos and disorder." He makes courageous decisions to document reality. He speaks about the criticism Naked received: "The criticism comes from the kind of quarters where "political correctness" in its worst manifestation is rife. It's this kind of naive notion of how we should be in an unrealistic and altogether unhealthily over-wholesome way." Leigh's characters often struggle, "to express inexpressible feelings. Words are important, but rarely enough. The art of evasion and failure in communication certainly comes from Pinter, whom Leigh acknowledges as an important influence. He especially admires Pinter's earliest work, and directed The Caretaker while still at RADA." Leigh has cited Jean Renoir and Satyajit Ray among his favourite film makers. In addition to those two, in an interview recorded at the National Film Theatre at the BFI on 17 March 1991; Leigh also cited Frank Capra, Fritz Lang, Yasujirō Ozu, and even Jean-Luc Godard, "...until the late 60s." When pressed for British influences, in that interview, he referred to the Ealing comedies "...despite their unconsciously patronizing way of portraying working class people" and the early 60s British New Wave films. When asked for his favorite comedies, he replied, One, Two, Three, La règle du jeu and "any Keaton". The critic David Thomson has written that, with the camera work in his films characterised by 'a detached, medical watchfulness', Leigh's aesthetic may justly be compared to the sensibility of the Japanese director Yasujirō Ozu. Michael Coveney: " The cramped domestic interiors of Ozu find many echoes in Leigh's scenes on stairways and in corridors, and on landings, especially in Grown-Ups, Meantime, and Naked. And two wonderful little episodes in Ozu's Tokyo Story, in a hairdressing salon and a bar, must have been in Leigh's subconscious memory when he made The Short and Curlies (1987), one of his most devastatingly funny pieces of work, and the pub scene in Life is Sweet..."
In September 1973, he married actress Alison Steadman; they have two sons: Toby (born February 1978) and Leo (born August 1981). Steadman appeared in seven of his films and several of his plays, including Wholesome Glory and Abigail's Party. They divorced in 2001. The actress Marion Bailey is his current partner. Leigh is a Distinguished Supporter of Humanists UK. In 2014, Leigh publicly backed "Hacked Off" and its campaign for UK press self-regulation by "safeguarding the press from political interference while also giving vital protection to the vulnerable." ^ "Mike Leigh". The Film Programme. 30 August 2007. BBC Radio 4. Retrieved 18 January 2014. ^ "Festival de Cannes: Naked". festival-cannes.com. Retrieved 22 August 2009. ^ a b Gordon, Bette. "Mike Leigh", "BOMB Magazine", Winter, 1994. Retrieved 25 July 2011. ^ "Mike Leigh biography". filmreference.com. Retrieved 20 January 2015. ^ "Movie Reviews, Ratings, and Best New Movies". Rolling Stone. Retrieved 20 January 2015. ^ "Habonim spirit influences work of director Mike Leigh in 'Happy-Go-Lucky' – Film". Jewish Journal. Retrieved 20 January 2015. ^ "Mike Leigh cancels Israel visit over 'conscience'". thejc.com. Retrieved 20 January 2015. ^ Ryan Gilbey. "Q: What's the secret of happiness? A: You're just trying to end the interview". the Guardian. Retrieved 20 January 2015. ^ Duedil: Thin Man Films Limited, duedil.com; accessed 23 April 2018. ^ "Mike Leigh - Literature". literature.britishcouncil.org. British Council. Retrieved 21 October 2018. ^ "UK director Mike Leigh to head Berlin film jury". Yahoo. Retrieved 11 December 2011. ^ "No. 53332". The London Gazette (Supplement). 11 June 1993. p. B12. ^ "Alison Steadman: Enter Alison the director". The Independent. London. 31 December 2003. ^ "Mike Leigh on not wanting Johnny Depp to play turner". spectator.co.uk. Retrieved 18 October 2014. ^ "Mike Leigh". British Humanist Association. Retrieved 20 January 2015. ^ Georg Szalai. "Benedict Cumberbatch, Alfonso Cuaron, Maggie Smith Back U.K. Press Regulation". The Hollywood Reporter. Retrieved 20 January 2015. 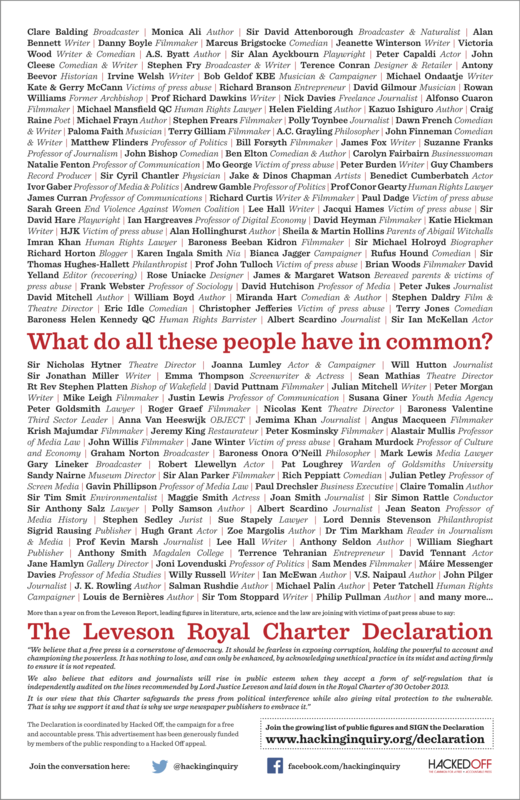 ^ "Campaign group Hacked Off urge newspaper industry to back the Royal Charter on press freedom". The Independent. Retrieved 20 January 2015. ^ "High Hopes (1988)". Rotten Tomatoes. Retrieved 27 June 2018. ^ "Life is Sweet (1991)". Rotten Tomatoes. Retrieved 27 June 2018. ^ "Naked (1993)". Rotten Tomatoes. Retrieved 27 June 2018. ^ "Secrets & Lies (1997)". Rotten Tomatoes. Retrieved 27 June 2018. ^ "Career Girls (1997)". Rotten Tomatoes. Retrieved 27 June 2018. ^ "Topsy-Turvy (1999)". Rotten Tomatoes. Retrieved 27 June 2018. ^ "All or Nothin' (2002)". Rotten Tomatoes. Retrieved 27 June 2018. ^ "Vera Drake (2004)". Rotten Tomatoes. Retrieved 27 June 2018. ^ "Happy-Go-Lucky (2008)". Rotten Tomatoes. Retrieved 27 June 2018. ^ "Another Year (2010)". Rotten Tomatoes. Retrieved 27 June 2018. ^ "Mr. Turner (2014)". Rotten Tomatoes. Retrieved 27 June 2018. ^ "Peterloo (2019)". Rotten Tomatoes. Retrieved 16 November 2018. ^ "Meantime (1983)". Rotten Tomatoes. Retrieved 27 June 2018. Mike Leigh live on Film Unlimited – The Guardian, 17 March 2000.